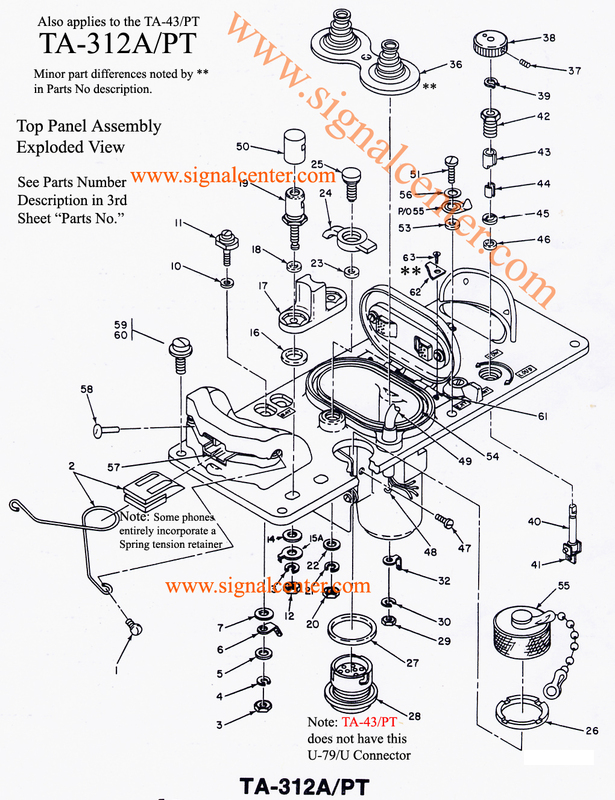 Parts listed on these diagrams are for both the TA-312/PT and the TA-312A/PT. 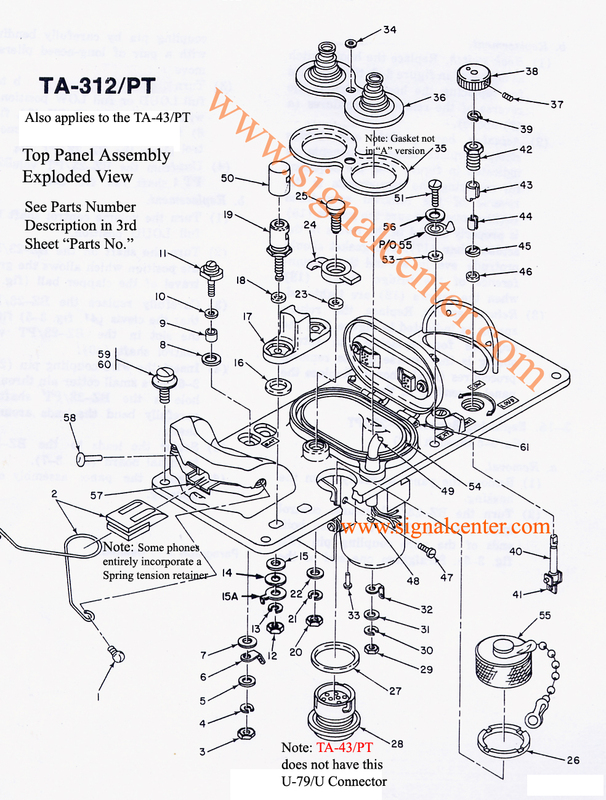 When ordering please refer to the the corresponding part number next to the part. 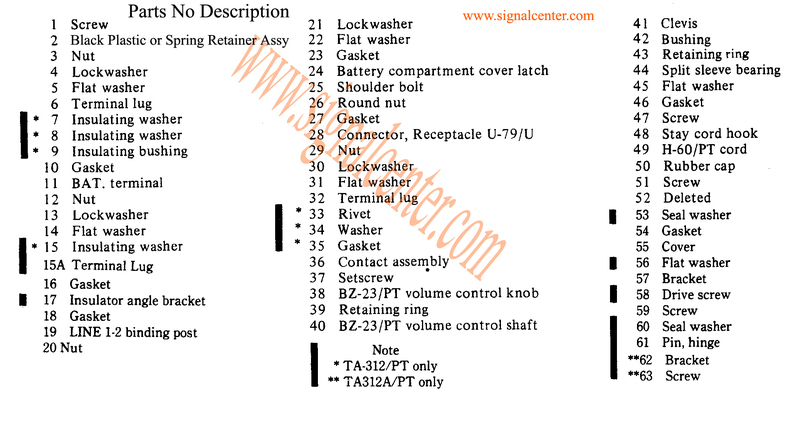 Parts Description and Reference Number.